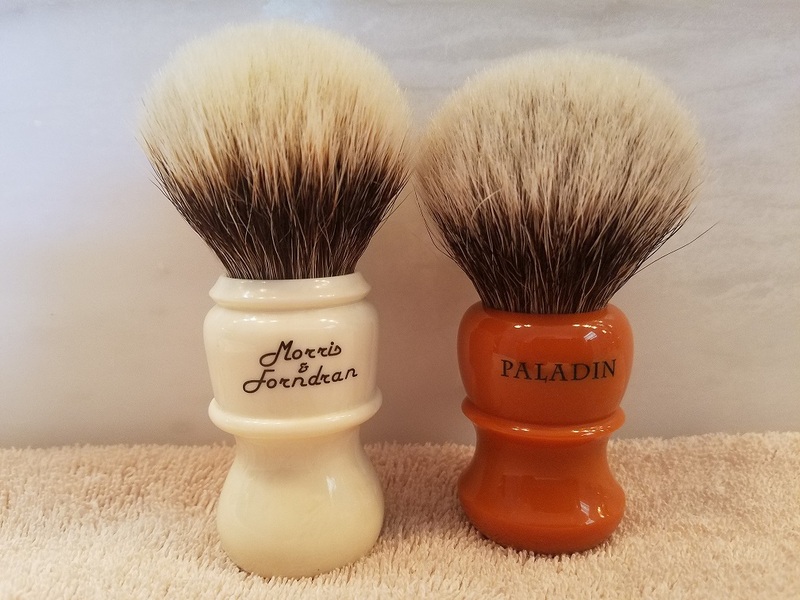 These are both great brushes which don't need any detailed description. My brush preferences keep getting narrower, and I have so many brushes I only keep the ones qualifying as my favorites. I also have to clear some room for other brushes which are on their way. I am the original owner of the brushes. 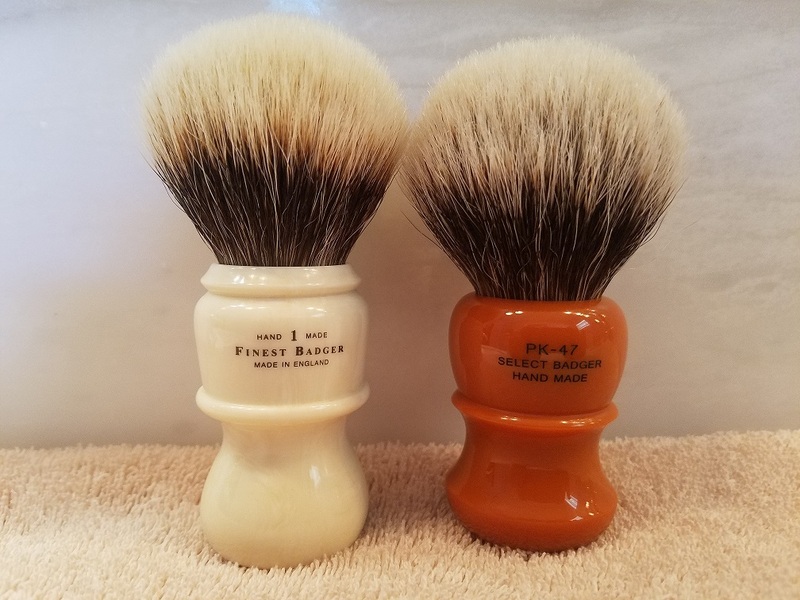 Neither brush has shed any hairs or has any cosmetic issues. As you will see from the individual descriptions, they are virtually new. Prices include shipping by Priority Mail. PayPal and no trades please. This ivory brush with a Finest knot was just purchased and has only been used once. Diameter and loft are approximately 26/48mm. I'm selling it because I prefer my 2xl and 3xl's, so those will be the only M&F brushes I keep. I have the original box. Purchase price was $200.00. This butterscotch brush with a Select knot is from the January 29, 2017 release and has been used three times. Diameter and loft are approximately 26/51m. I'm selling it because the knot is very similar to the knot in my Paladin Chiefs, and I prefer the Chief handle. I don't have the mailing tube it came in. Purchase price was $160.00. If I didn't have too many brushes, I would be all over those beauties. GLWTS.